Real estate brochures are often used as a way to present and advertise the best features of a property, along other marketing ideas for realtors. 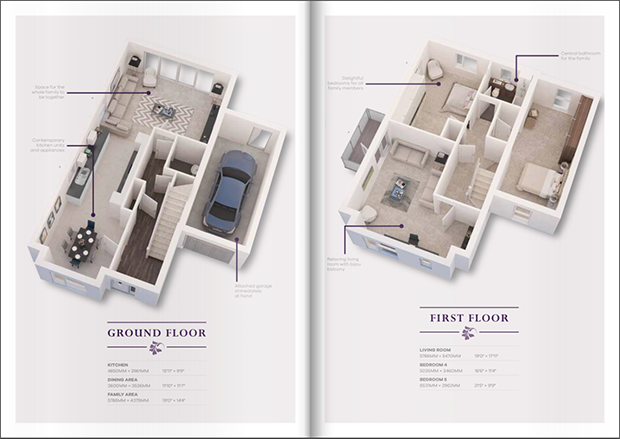 These brochures can be used to highlight a single apartment, house, condo, commercial property, or you can promote multiple real estate buildings in a single pamphlet. Whatever you want, you can make it with Flipsnack. Most realtors lack certain design skills, so you can usually tell whether a real estate brochure was designed by a realtor or a professional designer. It only takes a few seconds to figure that out. However, we can change that. 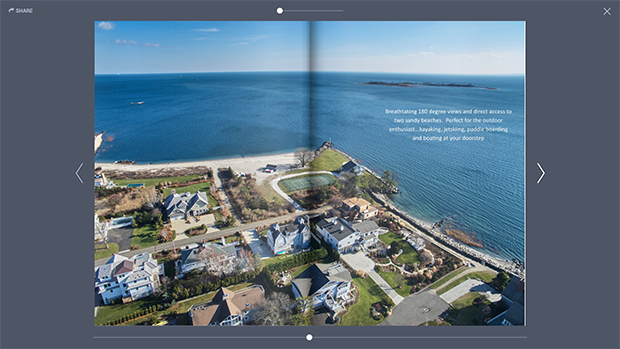 Even if you are a real estate agent, you can make a gorgeous real estate brochure. 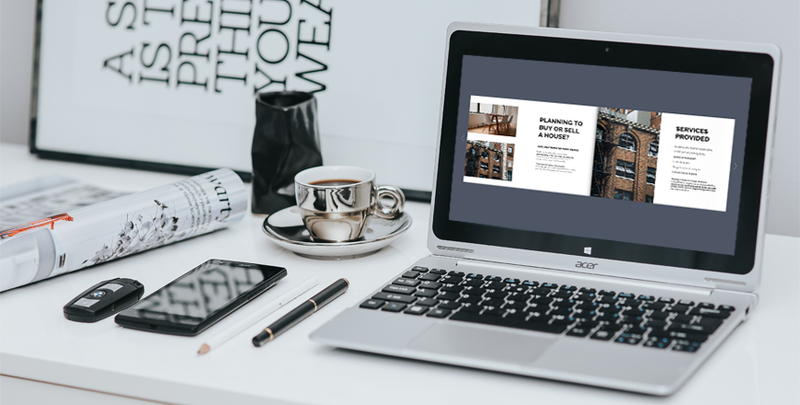 All you have to do is read this post, follow our tips, be inspired by some of the examples provided below and edit a ready-made realtor flyer template. 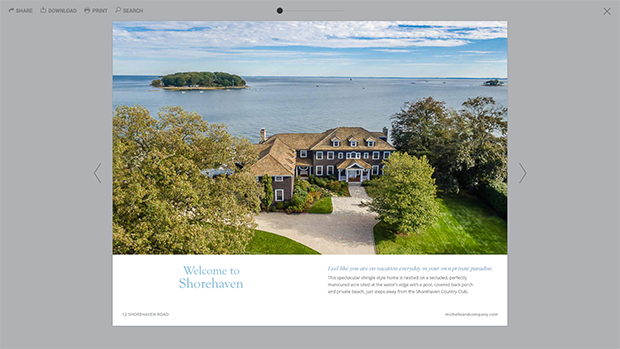 This is how you can make a truly impressive real estate brochure design. Let’s start with some free templates, because everyone loves them. 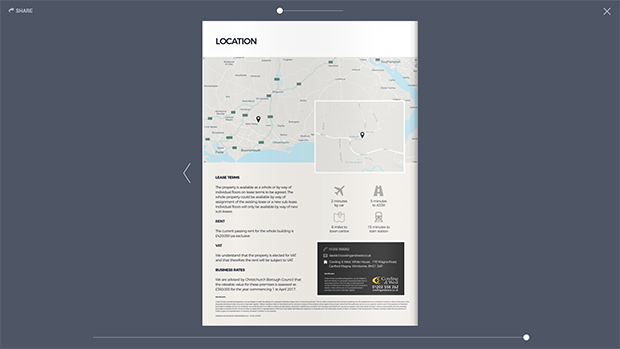 Start editing this free real estate brochure template. It’s very easy! Just click on the image, create an account and edit this real estate brochure design with our easy to use online brochure maker. You should simply replace texts and images to promote the real estate properties that you wish. 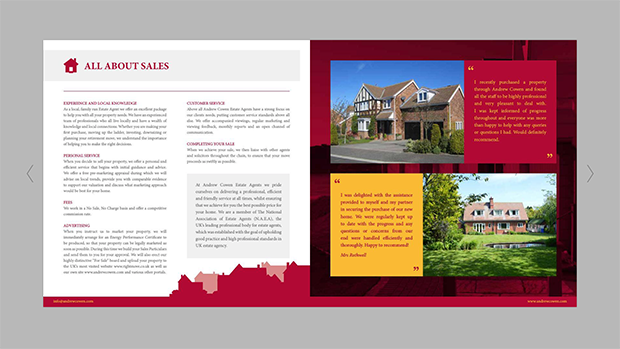 Looking for a real estate agent brochure template? Look no more! 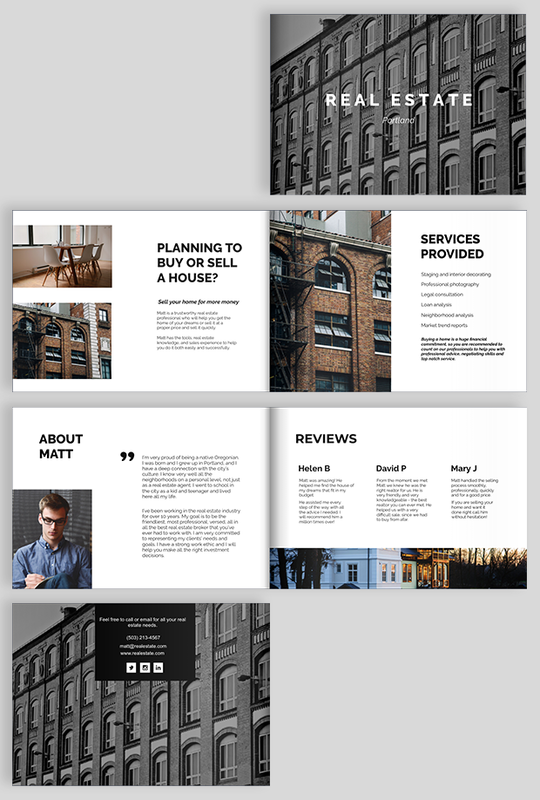 This template can be edited online very easily to create a real estate agent personal brochure that will elevate your image as a professional. It’s very important to give potential clients a full list of all the amenities and features of a property. The longer the list, the better. Include all the little details that are usually expected in a property because a long list of amenities will make a house/ commercial space look more attractive. This list of features could possibly make a buyer pick up the phone to call you for a house viewing. It might also help a buyer or tenant decide between 2 or more properties, that’s how important these details can be. The decision to buy a house is not the result of a spur of the moment impulse, which is why people will carefully review all these details before they make up their minds. The floor plan shows the layout of a property. The floor plans are an essential document in designing and marketing a real estate property. It’s an excellent way to present the size of each room and the relationship between different rooms and spaces. Most people ask to see the floor plan before they purchase a space, even after a house viewing. You can make your job (and the client’s decision much easier by asking for this document in advance and featuring it in the real estate brochure. Photos and illustrations are a big deal in marketing, regardless of the industry. However, the real estate market is one of those domains in which photos are more valuable than usual. 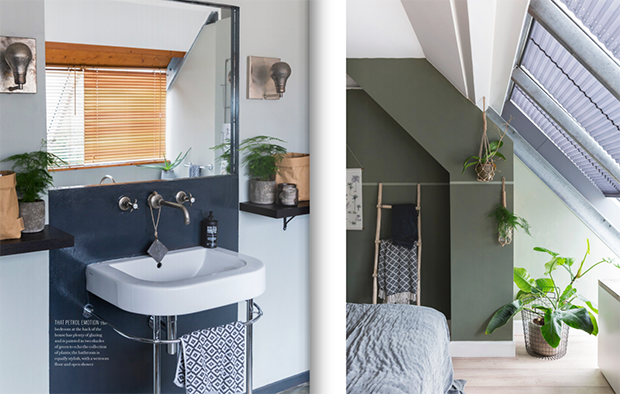 Images alone can be compelling enough to convince a potential client take a property into consideration for renting or buying. They account for very first impression a person will form in regards with a house/ apartment / commercial property. Staging the house prior to the photo session is a great way to ensure that you will get high quality photos that can be used in your real estate brochure and in other promotional materials, such as ads and so on. These short real estate descriptions should highlight the most attractive features of a house or commercial property. The property details and floor plan speak to the analytical side of the brain, but the description should speak to the emotional side of the brain. It’s your chance to help a prospect get the feel for what makes a property unique, what it would feel like to live there. You already have a list of features, so the description should focus on benefits. For example, 4 windows are a feature of a room. But natural lighting, brightness, reduced energy use and a sunny, visually stimulating environment are benefits. The contact details are usually placed on the front, back or inside cover of your real estate brochure. They should be easily spotted by all the people who may be interested in asking questions, viewing properties and buying. Provide the name of a real estate agent, a phone number, an alternate phone number, an email address and a website URL. 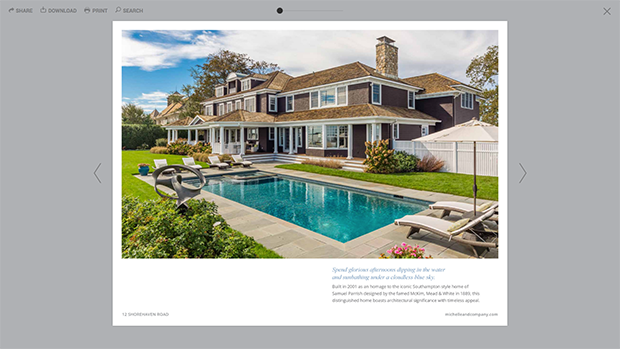 You can make your real estate brochure design more interactive and provide more details by including a video of the property. Video marketing is a growing trend in the real estate market. 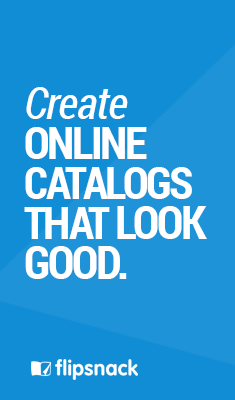 Take advantage of this trend to ensure competitive advantage. Provide the exact location of a house by placing a pin on a map. 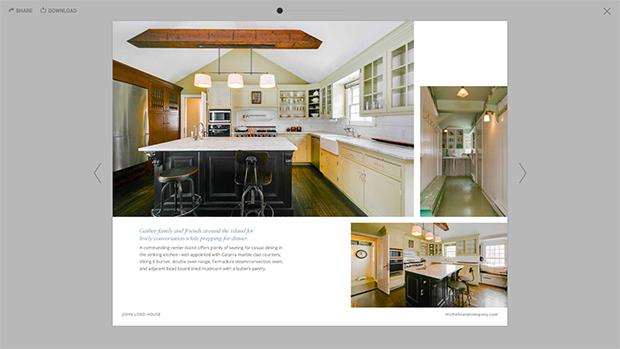 Simple, clean layouts are perfect for your real estate brochure design, because it makes it easy for a reader to scan the brochure content. 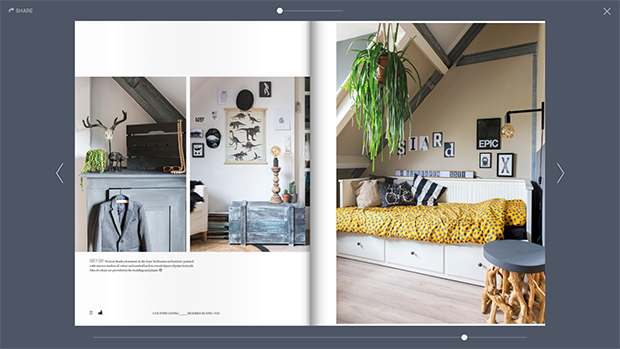 Spread an image across 2 pages to highlight the beauty of the image and create a big impact. Shoot the same space from different angles and make a collage to help people envision the real look and feel of a space. It’s practical and it looks amazing. Take a look at this real estate agent personal brochure and notice the use of red and yellow. It makes the design more playful and fun. Publish similar looking collections on your Flipsnack profile. It will look more professional and organized. 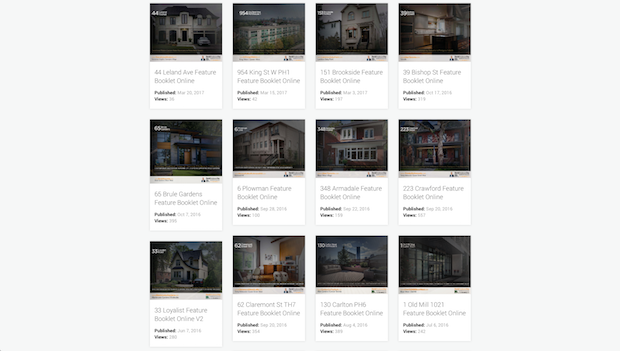 Check out our interview with David Oey, a successful realtor from Toronto, Canada, who uses Flipsnack regularly to publish real estate brochures. Now it’s your turn! 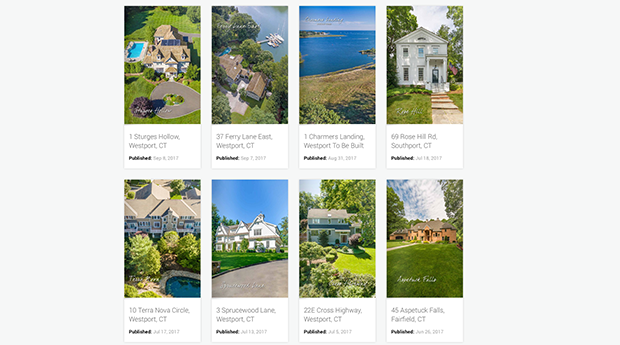 Start making your own real estate brochure and share it on your site, social media page or in a newsletter. Thanks for sharing these brochure samples! I really liked this wonderful post! It’s incredibly amazing!